Short and Sweet? This was a hauntingly beautiful book, filled with prose that hit you and characters so complicated and deep that you won’t be able to stop thinking about them. 1) The writing in this book was BRILLIANT. It managed to subtly shout across to me, through each word, raw pain and grief and loneliness. 2) I went into this book not knowing what to except – it sounded good, but vague. I’d heard everyone saying it would break me, and so while I was anticipating reading it, I honestly had no idea what I would get from this book. 3) If you’re an “I Like Big Books and I Cannot Lie” person, (like all self-respecting bookworms are) then you should know that this book is SMALL. It’s a little over that 200 pages, and I thought it would take me no time at all to finish it, but it was HARD to get through a book that made me feel so much. This book requires deep breaths, pauses to process everything you’re feeling and maybe even a few tissues. 4) I LOVED LOVED LOVED Marin and Mabel. I love them as friends, I loved them as individuals and I loved them together. 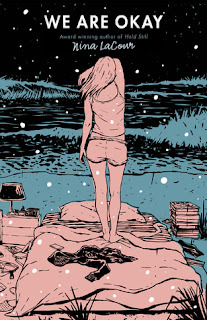 I love the way Nina LaCour put their relationship to words – as something real and painful and happy and like two people discovering a whole new part of themselves and it was so beautiful to see how they got together and at the same time so heart-breaking to know how it all ended. 5) THE PAIN. Like I said, this book was hard to read because you could FEEL EVERY OUNCE OF GRIEF that poured out of all the characters. 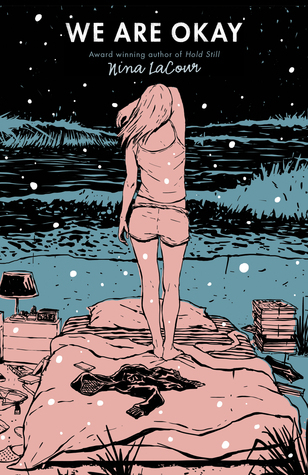 I was sitting there, totally immersed in the story of two girls I knew for about fifty pages and AAH I felt everything. Have you read any Nina LaCour books? Which one is your favourite? 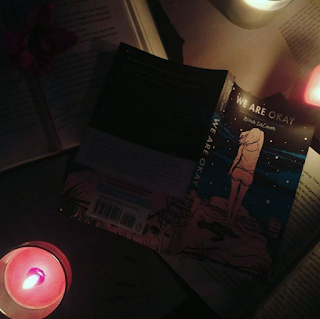 Have you gotten the chance to read We Are Okay yet? What did you think of it?